Arguably the most famous Apple flop of all, the Newton (which was actually the name of the OS and not the device) started out as a top-secret project with a lofty goal: to reinvent personal computing. During its development, the Newton took on many forms, such as the tabletlike “Cadillac” prototype, before its eventual release in 1993 as a smaller and considerably less revolutionary PDA. Although the Newton was available for six years (longer than most other Apple flops), it was a prime example of an idea that was simply ahead of its time, and sales never lived up to Apple’s expectations. When Steve Jobs resumed his stewardship of Apple in 1997, one of the first things he did was to axe the subsidiary Newton Systems Group. By the following February, the Newton was dead. 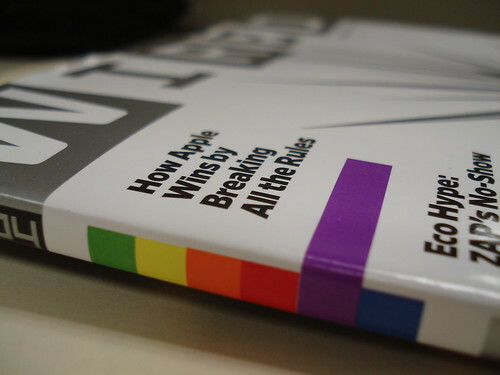 From their “Learning from Failure: Apple’s Most Notorious Flops” lineup. Posted by davelawrence8 at 6:07 pm on February 1st, 2008. No comments... » Categories: newton history. 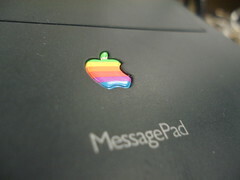 Tags: apple, cadillac, fail, flops, messagepad, newton, PDA, screw, wired, wired.com. Subscribe via RSS. What Newton users think of the iPhone. Back in January, when the iPhone was first announced, Leander Kahney did a roundup of what Newton users thought of the iPhone. But in the meantime, they’ve kept the platform very much alive and technologically current…Thanks to the efforts of hundreds of active Newton users, the Newton supports things like Wi-Fi, Bluetooth and memory cards. It can synchronize with OS X and iTunes, just like an iPod. Keep in mind, this was back in January. I wonder if any thoughts have changed since summer, when the iPhone was released. Posted by davelawrence8 at 6:55 pm on December 10th, 2007. No comments... » Categories: ipod/iphone. Tags: apple, faithful, fans, geeks, iphone, ipod, ipod touch, mac, messagepad, newton, PDA, stylus, wired. Subscribe via RSS.